Star-Telegram, By Anna M. Tinsley, 02/09/14 – It has become one of the races to watch in North Texas. As accusations fly regarding everything from luring Democrats into the Republican primary to improper Facebook posts, eyes statewide are focused on the local GOP fight for Texas House District 92. 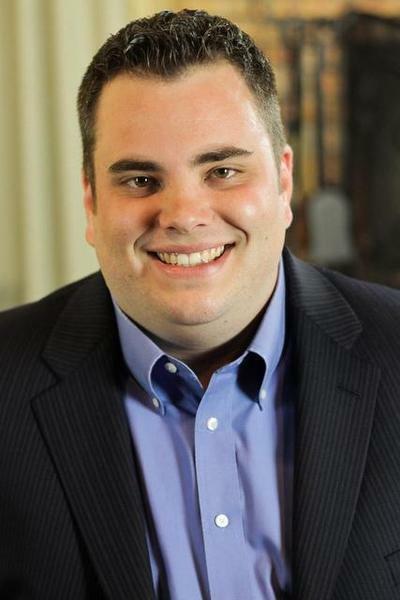 In this race, incumbent freshman Jonathan Stickland, an opinionated Tea Party conservative from Bedford, faces a challenge from Andy Cargile, a GOP establishment-supported educator from Hurst. “This one is pretty much on everybody’s top 10 to-watch list,” said Harvey Kronberg, editor and publisher of the Austin-based Quorum Report, an online political newsletter. “It’s a clean division inside the Republican Party. Stickland is a 30-year-old who drew headlines in his first session for everything from authoring one of the strongest email privacy measures in the country to wearing his concealed handgun nearly every day at the Texas Capitol. He drew criticism from some moderate lawmakers who believed he was trying to gum up the works if he didn’t support a proposal — and praise from those who admired his conservative beliefs. 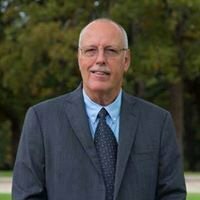 Cargile, a retired high school principal and member of the Hurst-Euless-Bedford school board, is a 67-year-old who said he joined the race to give voters a choice to elect someone more in line with the needs of the district. He touts his credentials as an educator and his life experience as why he offers voters a more reasoned choice. Early voting for the March 4 primary runs Feb. 18-28. In recent weeks, Cargile’s campaign has sent out news releases and made social media posts charging that Stickland is a high school dropout who has broken campaign promises and made rash Facebook posts in recent years criticizing the local school system. “He promised our educators and parents that he would support our schools — then he was hostile to our schools during the session while claiming in social media that it was not his responsibility to take care of other people’s children,” Cargile said. Stickland said he has no evidence on his personal Facebook page of this post. He said a third party came in to review his page in the 2011 race and couldn’t find the post. And Stickland noted that the picture paired with the post wasn’t taken until November 2011 and didn’t exist when the post was allegedly made. Cargile charges that Stickland broke political promises because of a statement he made in a 2011 campaign video: “No more business as usual. No more political games. And no more lobbyists’ money and influence.” He said Stickland has accepted money from lobbyists and special interests. Some Cargile mailers use a high school photo of Stickland, calling him a high school dropout, and compare that to a photo of Cargile, referring to him as a former high school principal. “Who do you think is best for us in Austin?” the mailer asks. Stickland, described by some as the House’s most conservative voter last session, said he has fought for constituents and for liberties. He said he knows little about Cargile, other than that he believes the educator wants Democrats to cross party lines to support him in the Republican primary. “I think the charges are a complete distraction from the issues,” Stickland said. “I’m running on my record. Cargile, who has picked up endorsements from groups including the Texas Municipal Police Association and the Texas Association of Realtors, said he is the better candidate and has the experience to make the right choices in the Texas Legislature. This race has been tagged as “of interest to conservatives” by the NE Tarrant Tea Party. Both candidates say they have agreed to a debate in this race, but no date has been set. If elected, Cargile said he has a number of priorities, including improving Texas schools, cutting wasteful spending, keeping taxes low, helping small businesses and making government more transparent. He also wants to help secure Texas’ borders, defend the Second Amendment, protect the unborn, reduce traffic congestion and protect the “health and safety” of Texans. “And I would like to fight back against the ever-encroaching federal government and stop Obamacare,” he said. In November, the winner of the Republican primary will face Democrat Tina Penney. During the last half of 2013, Stickland reported raising $188,000, which included $125,000 in outstanding loans, and had $219,459 on hand. The most recent report shows he raised another nearly $50,000, has $127,000 on hand and still has $125,000 in outstanding loans, according to reports filed with the Texas Ethics Commission. He picked up large donations, such as $75,000 from the Empower Texans political action committee, and a slew of donations ranging from $250 to $1,000 from Republican House colleagues, including Giovanni Capriglione, Tom Craddick, Craig Goldman, Stephanie Klick, Matt Krause and Bill Zedler. During the last half of 2013, Cargile reported raising $21,401, which included $15,383 in outstanding loans, and had nearly $8,000 in cash on hand. The most recent report shows he raised another $37,000, has $5,385 on hand, and still has $15,000 in outstanding loans, according to the reports. He picked up large donations, including $12,500 from Christopher Huckabee, a Fort Worth architect whose firm was chosen as the architect for the H-E-B school district’s 2011 bond program, as well as donations such as $5,000 from the Texas Parent PAC of Austin, $10,000 from the Texas Real Estate Political Action Committee (TREPAC) and $1,000 from the Texas Medical Association Political Action Committee (TEXPAC). Doncha just love folks who crawl out of the woodwork, claiming the citizenry has just almost BEGGED this particular individual to run for a given office ?…………RIIIIIIIIIIIIIIGHT…………we saw that here last election cycle when some hack was trying to recycle his lost election to some tax office thing, and just huffed and blowed about how folks came begging him to run again………..suuuuuuure ! And this self-sacrificing wannabe public “servant” has lined up support from, evidently the “proper pattycake Republicans” and the TMPA who do not like the citizens having crazy thoughts of going around armed. Cargile has gone as far as to mark out Republican on his signs and Democrats are putting them next to Wendy Davis signs….if that tells you anything about his integrity. He is a bully, and I’ve heard that’s the way he was as a principle also.